By far the best age is seven, when the summer grass grows around splayed fingers and each winter breath forms little clouds that morph into animals and pirate ships. When your older cousins watch with barely masked envy as sparks fly from your fingertips and pigtails as you spin. You show off for the little kids, their eyes wide with awe and anticipation. Seven, when the barrier between worlds is so thin you can cup the last glow of sunset in your palm and hold it up to the white walls of your bedroom. By far the worst age is eight, eight years and one day, when you wake up and can no longer make the canopy flutter or your shoelaces tie themselves. The veil has been pulled shut and you’re a Big Kid now, and that should count for something, but you watch the littler kids, the Sevens, and you don’t think you got that good of a good deal. You aren’t entirely envious of Katy when she turns seven. 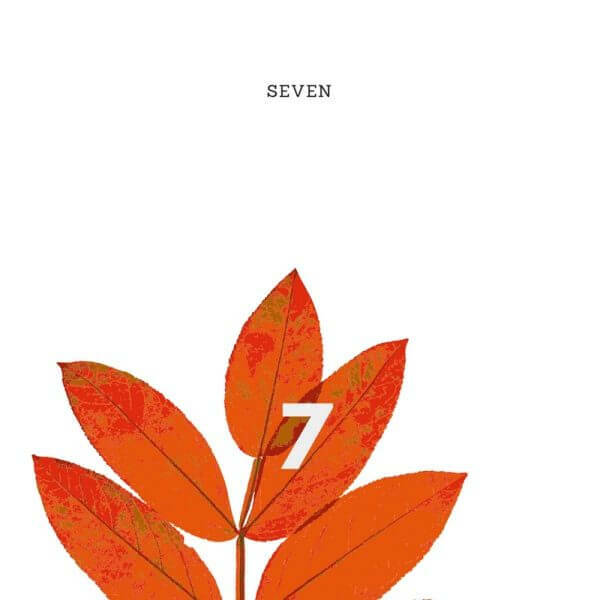 Everyone is entitled to seven. Mother had her seven, cousin Clara will have her seven, and two years ago you had your own. And Katy isn’t so bad, not at seven. She makes the bathroom lights flicker when you brush your teeth, she jumps out of low hanging branches and glides to the grass, she spins around and around with her long hair fanning out beside her, sparkling in the moonlight like the fireflies you’re trying to catch. Still, you can’t help but feel vindicated that cool spring morning when she slips into the kitchen and quietly accepts the happy birthdays and the pancakes with berries. You can’t help but feel a little relieved and a little smug that her seven is gone now, that her magic is someone else’s. Katy’s hair shines low in the moonlight that night, and you think you’re seeing things because she’s eight, but the next morning she wakes up, eight years and one day, and the canopy flutters and the light turns on — and no, that’s not right, you have to get rid of it, give it up, you’re eight. But Katy is special. Katy is eight, and then nine, ten and eleven, and yet somehow she is still Seven. The girls at school fawn over her. Your own friends fawn over her, too. Their parents give her cookies and the teachers always read your name at roll call and ask you about little Katy, the girl who is always, forever, a little bit seven. You were not really jealous when Katy was seven, but you are now. Katy was supposed to wake up at eight years and one day and be a Big Kid, just like you had. She can’t be both twelve and seven, it’s not allowed. She can’t go to jr. high with her sleeves stuffed with the magic of seven. You can’t help but feel a hot rage in your stomach the first time she walks home with a boy, a twelve year old boy- because she’s only seven! You start making lists of everything Katy shouldn’t be doing. Katy shouldn’t be allowed to use her magic to help her write papers or get asked to dances. Katy shouldn’t be allowed to flash the lights in the bathroom when you’re getting ready for school, and she certainly shouldn’t use the humming in her fingertips in art class, either. Your own projects were always large, bulky, but Katy comes home with delicate sculptures of clay and porcelain and wire. As you age the teachers say you have a gift, and you almost believe them. But one glance towards Katy and you know who has the real gift. She’s over there sculpting with her fingers of seven while you, you paint clumsily with your hands of seventeen. You’re just a little impatient one night after school. Don’t offer to help with her schoolbag and her box of god knows what from the art studio. Balancing on the top is a tiny clay carousel, teetering from side to side as Katy follows you to your car. You speed up as she calls for help. You are genuinely surprised to hear the crash, to see the carousel shattered on the ground. You’re silent when Katy sets down the box to touch the pieces to her fingertips, tears sliding down her cheeks as she assess the damage; irreparable, even with magic. And in that instant you feel everything at once, pity and fear and envy and this awful rage. You want to scream and kneel and run all at once but you do none of those things. Instead, you give a hearty kick to something, anything. Now, more ceramic is breaking, scattering across the blacktop as Katy’s box does a flip and a last, sickening roll. Bits of magic escape from each broken shard, coming up from each piece in puffs of blue, yellow, orange smoke. Little sparklers intertwined, not unlike Katy’s hair. You pause, not really hearing her screams as you realize what you’ve done, and what Katy has done. Bits of magic, bits of Seven, all wrapped up in each sculpture, baked and twisted inside thread by thread, deliberate. You hear what Katy says, now. You say nothing, just sink down onto the pavement and pull her into you, tears of your own now dripping from your nose and chin. You feel so small. Sarah Krenicki works for a nonprofit by day, writes by late evening, and spends the rest of her time saying she should be doing something productive. She lives in the woods with her husband and cat, who are her biggest fans. Find her here, as well.